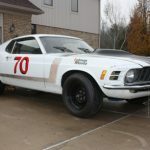 The story of the UBB Mustang first goes back to 2007 when Porter organized a cross-country road rally called The Great American Run similar to the legendary Cannonball Run of the early 1980s. Saleen was heavily involved in the event, announcing a run of 25 special edition “Ultimate Bad Boy” S281 Extreme Mustangs to be driven by the rally participants (we hear only nine were ever actually completed), with the winner getting to take one home as a grand prize. Porter himself drove one of the 600 horsepower Mustangs in the event, but wasn’t exactly overwhelmed with the performance of the car. “I thought to myself that I could do something better than this,” he recalls. Fast forward to today and Porter finally has a car he’s ready to offer to customers – the UBB1000 Mustang. 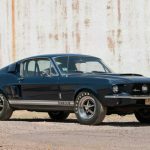 To be exact his company actually offers four different Mustangs, from the UBB500 Mustang all the way up to the UBB1100 Widow Maker Mustang, but the bread and butter of the lineup is the 1000. The car pictured here is one example, and it’s also the one that Porter let us drive. He tells us it’s the first time anyone in the media in the United States has been granted seat time. Gulp. Overall the design is simple and cohesive, and our only complaint is that all of the parts are off-the-shelf pieces. To Porter’s credit he’ll personalize a Mustang to a customer’s taste, as evidenced by this car’s throwback Eleanor-style paint scheme. However, anyone can build themselves an identical looking car, and we wish the UBB1000 had a more distinctive look like a Roush, Saleen or Roush Mustang. Moving onto the interior the UBB1000 Mustang, there isn’t much changed from the stock GT500. Our test car featured the stock GT500 seats (leather or clock Recaro seats are available as an option) with the leather inserts swapped out to match the exterior as well as an Alcantara-covered steering wheel, a short-throw shifter, new gauges with a 360 km/h speedometer (this particular car was destined for the Middle East) and faux carbon fiber surrounding the instrument panel and center console. Like with the exterior, we felt that the interior needed more of a unique look to separate itself from what any owner could put into his or her own car. 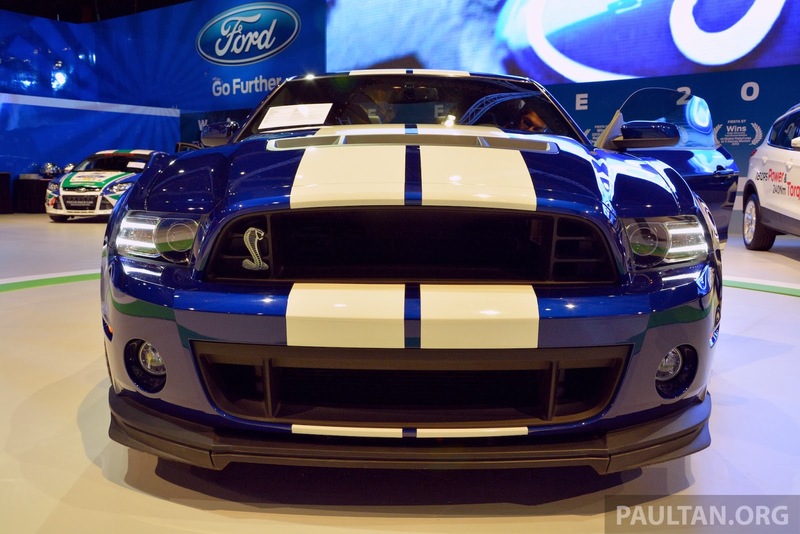 There’s nothing really wrong with the standard GT500, but for $120,000, the base cost of the car, we were hoping for something a little more unique. The fake carbon fiber definitely has no place on a car costing six figures. 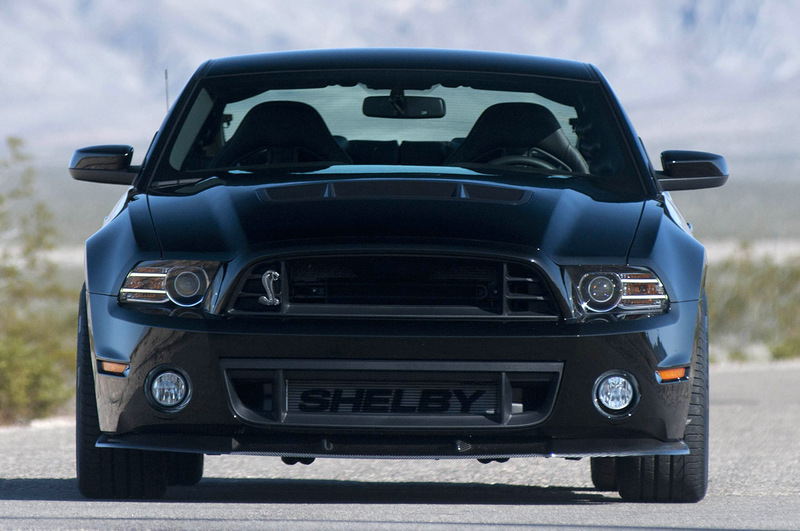 The UBB1000 Mustang, however, is not about looks or comfort. It’s about power. Open the hood and the first thing you notice is the massive Whipple 4.0-liter supercharger system sitting atop the 5.4-liter V8. The huge blower compresses massive amount of air into the engine, which produces 1,000 horsepower and 860 lb-ft torque. Amazingly, though, the UBB1000 is surprisingly easy to drive at slow speeds. The twin-plate clutch doesn’t require a Herculean effort and the throttle tip-in isn’t so aggressive that you actually travel at slow speeds without lurching forward. It’s amazing how much more drivable high horsepower cars like this one have become over the last few years. Get on the throttle, though, and a beast awakens from under the UBB1000′s hood. Thanks to the twin-screw supercharger, torque is instantly available in the lower part of the rpm band and downshifting becomes a moot point. We have to admit that that we explored the deeper levels of the throttle in stages, in part not wanting to swap ends in a customer car, but more than anything the car is terrifying to drive at more than half throttle. We found it hard to truly get a sense of how fast the car is, simply because accelerating for more than a couple of seconds will put you well past the legal speed limit. The UBB1000 is truly a car that needs to be experienced on the track, whether the drag strip or the road course. One thing that did surprised us is how much traction the UBB1000 Mustang had given the output of the supercharged V8. Much of the credit goes to the sticky Toyo Proxes R888 tires. Amazingly, Porter has managed to fit 305/35/18 tires and 10.5-inch wide wheels on all four corners, providing a wide contact patch of rubber to lay the power down. The ability to implement such wide tires is due to the suspension system built by Cortex, with the coilovers specially designed to allow extra clearance for the 10.5-inch wheel even in the front. Equally impressive is the ride quality of the UBB1000. While some aftermarket Mustangs are set up jarringly stiff, the UBB1000 can carve corners just as well as it can provide a comfortable ride. The credit again goes to the Cortex suspension system that can be adjusted via the strut towers for the front or in the trunk for the rear. Each car is also fitted with a watts linkage and adjustable caster/camber plates for even more improved handling. The stock 14-inch Brembo brakes remain in place, as Porter says they still do a fine job of bringing the car to a stop. They performed admirably during our time in the Mustang, but we still wonder if an improved setup would be required for doing laps at the track. For more information on the UBB1000 Mustang and the rest of the UBB Mustang lineup visit www.ubbmustang.com. This entry was written by by MustangsDaily (Mustangs Daily) and posted here on Wednesday, July 18th, 2012 at 7:53 am and is filed under Headline, Road Tests, ubb mustang, ubb1000, ubb1000 ford mustang, ubb1000 mustang, ultimate bad boy mustang. This article was not written by us, rather gathered using RSS feeds listed here. We take no credit for this article. You can leave a response, or trackback from your own site.